Me SP & the Bean. : family wash. cut. blow. 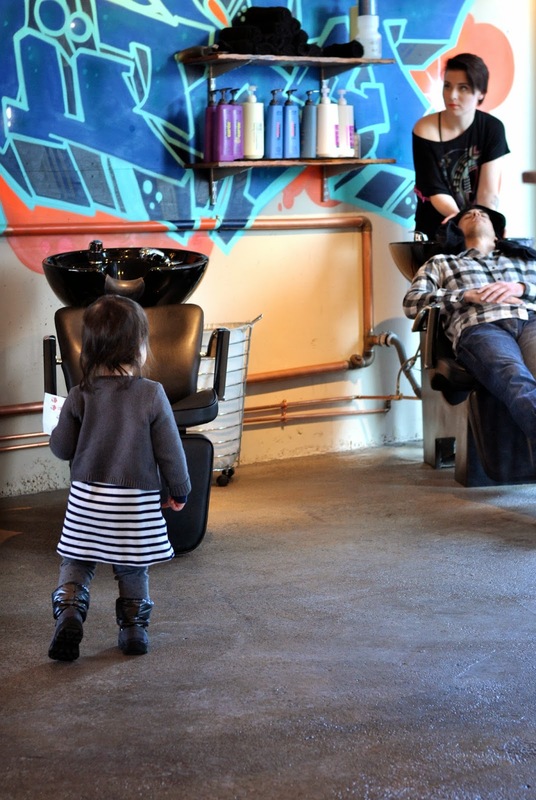 A family that haircuts together, stays together…? we all just really needed haircuts. Watching papa get his hair did. …but that didn't last long so thank goodness for stickers. Mama's turn, then Bean's turn. So serious, so still, so quiet, so good. Yay for short work weeks.